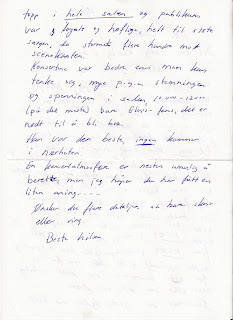 Writing about Dixieland Delight and Pieces Of My Life made me remember a letter I received many years ago from a Norwegian guy who actually saw Elvis in concert in July, 1975. I store a lot of Elvis magazines and clippings in a box, and going through it I found the letter. Looking at the postmark I noticed that it was posted in Norway, January, 1989. 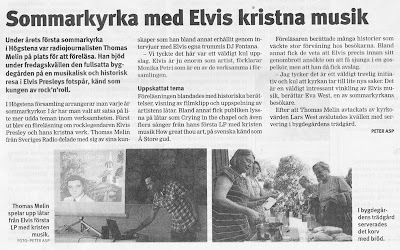 The reason he wrote me in the first place was that I had seen a small ad in the Norwegian fan club magazine Flaming Star, where he was selling pictures of Elvis that he had taken while travelling with the fan club to USA in 1975. Having no idea what it must have been like attending an Elvis concert, I sent him a letter asking him to share his memories. I'm 35 years old now, and have been an Elvis fan since I was seven. But I have to admit that it was a remarkable experience to see Elvis on stage: me and all the other 8 000-10 000 fans in the auditorium had the feeling that he sang only to me. He had each and everyone of us in the palm of his hand, he captivated us completely. I couldn't believe it was happening, I had collected his records for many years, had seen the movies and now he stood right in front of me. Was this really true or just a dream? The concerts were good, the sound first class all through the auditorium and the audience was loyal and polite, until the last song when several hundreds of fans rushed to the front of the stage. 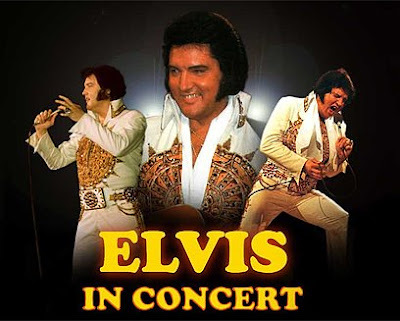 The concerts were better than one could imagine, mainly thanks to the atmosphere and excitement in the auditorium, 10 000-12 000 (at most) Elvis fans, it can only get good. Yes, the letter gave me some idea, although I'll never be able to feel what it was really like. The closest I've ever gotten to experience something like it was when Elvis The Concert toured Europe in 1999, but of course it can't be anywhere near the real thing, amazing as it was. 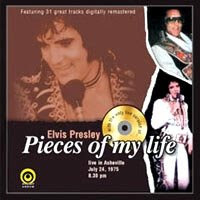 That will always be my one impossible dream: to have seen Elvis in concert. 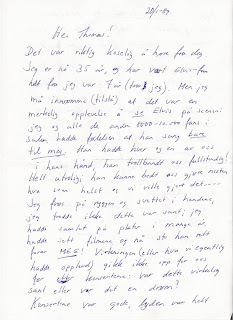 PS: Thanks to the Internet and Facebook I got in touch with the guy from Norway again, 20 years since he wrote me that letter. 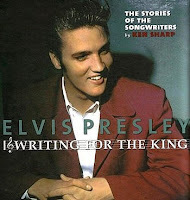 He assured me that it was OK to share his letter with you, and I hope you liked his memories of Elvis in concert. 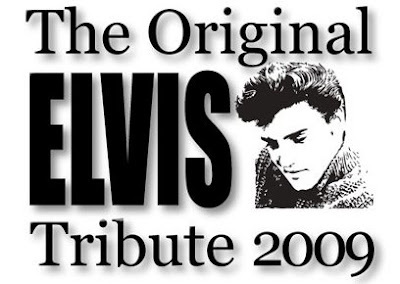 Following the highly successful May ’09 tour, ’The Original Elvis Tribute 2010’ (featuring a.o. Elvis’ original bassplayer Duke Bardwell) will be returning to Europe in January 2010 in order to celebrate The King’s 75th birthday. This remarkable production has several surprises in store for the fans, and the show promises to be a one-of-a-kind celebration of the man and his music. This time, we will be adding a special Gospel segment to the show, and we feel confident that Elvis himself would have approved. Moreover, we are also proud to announce that the very talented Sue Moreno will be joining us as a backing singer. Miss Moreno is a very popular singer in her own right, so we are all excited about having her ‘on board’. “Being a great admirer of Elvis Presley's music and inspired by him throughout the years of my own musical career, it is an honor to be part of this unique Elvis show”, she says, “I've always loved to perform Elvis' repertoire - I can really put everything in it - and being able to work with these great musicians makes it extra special”. That "The Original Elvis Tribute" will return to Europe is great news to me, as I wasn't able to see the show when it visited Sweden in May. My biggest regret was not being able to meet Michael Jarrett, who's also part of the show and who wrote "I'm Leavin'" and "I'll Be Home On Christmas Day" for Elvis. Now it seems I'll be getting a second chance. Thank you, Arjan, for making that happen! Studying the complete tour list from 1975 on the excellent Elvis In Norway website and comparing tour number 14 (May 30 to June 10) with tour number 15 (July 8 to July 24) it's easy to spot one big difference between the two. Nearly every show from the former has been released on CD (mainly bootlegs) while from the latter, almost nothing is available. Taking a closer look, of the 17 shows Elvis did during his fourteenth tour, 15 are available, and all but one are soundboards. But how many soundboards are there from the following tour? That's right, not a single one. In fact, only six shows from Elvis' July tour have been released, and each and every one of them is an audience recording. This got me thinking about soundboards and why they were made in the first place. Maybe I'm showing my ignorance here, but I seem to recall soundboards were recorded so that the musicians could study them afterwards, see what worked and what didn't. Also, that a soundboard was something to put in the hands of a new musician so he could get familiar with the songs. But if that was the case, why was a soundboard recording done of what seems like every show in June 1975? Why wasn't one or two enough? And why hasn't a single one turned up from the July tour? To try to come up with an answer I searched the Internet, but drew a blank. I did find out however, that according to Ernst Jorgensen, there are about 200 soundboards in total (I guess he's talking about the ones owned by BMG/FTD). Also, that the majority of them seems to be from the '74-'77 period. But nowhere did I discover anything about why they were recorded in the first place, and why sometimes so many from the same tour or engagement exist. For whatever reason, it was often standard practice to make soundboard recording of all the shows during a particular tour or engagement. These soundboards were recorded on cassettes or reel-to-reels then ended up in the possession of musicians, sound engineers, collectors and others. Then in the late 80's someone started to sell off his collection of soundboards to the bootleggers. These were put out on records that were noticed by other owners of soundboards who, for financial reasons maybe, sold their tapes too. And so the ball was put in motion, so to speak. But not everyone wants to part with their soundboards. 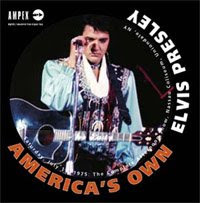 If one is to believe a contribution on the kings court forum from February last year, "Bruce Jackson, Elvis sound engineer owns a lot of soundboards but has stated he will not part with them for any amount of money as he feel's these recordings are spoiling Elvis' image due to the nature of the recording. Ernst has tried to buy some tapes from him but he refused, he is rumoured to own some July 75 soundboards and the famous Pittsburgh 31.12.76 show." So maybe that's where the July 75 soundboards are? What do you think?